Andrea Pramuk started painting at the early age of 2. 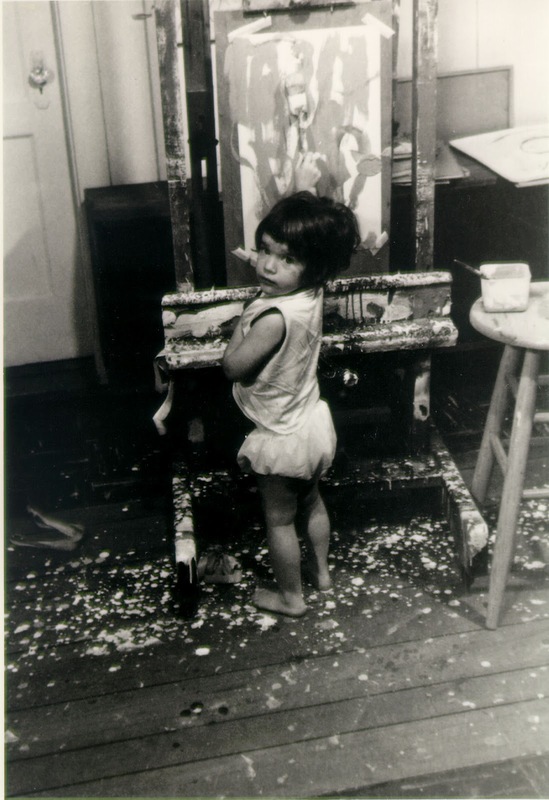 As the child of an art professor father, she was absorbed into art openings, slide lectures, studios, and life drawing classes. 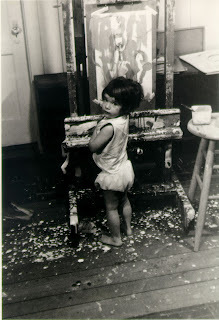 To keep her occupied so that he could paint, Andrea's father gave her a brush, paint and paper at an easel. She went on to study art in high school before receiving her BFA from the Kansas City Art Institute and then MFA from University of Texas at Austin. Now, Andrea is a full time artist working in a range of media, but she is also a full time marketing director for Ampersand Art Supply, a company that produces wood panels for artists. Considering that Andrea is fully submersed in the art materials world, working with artists and creating her own work, she knows a bit about brushes and which ones are suitable for each medium. Andrea's work is mixed media, she says it is out of necessity because one kind of paint can not always express her ideas because she works in such ethereal subject matter. 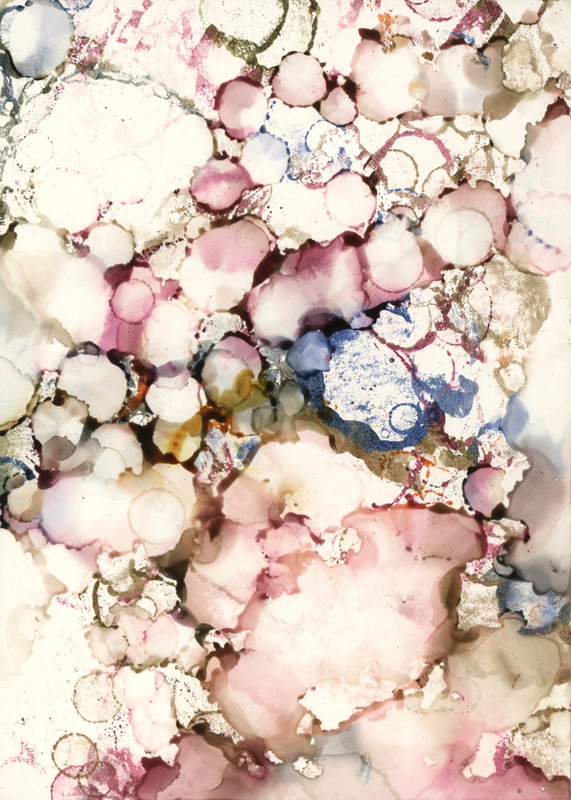 She blends watercolors, alcohol inks, oil paint and encaustic wax as well as cold wax on Claybord™. Sometimes in her process, in fact quite often, her brush never touches the surface, but still, Andrea says that quality brushes can make or break a painting. 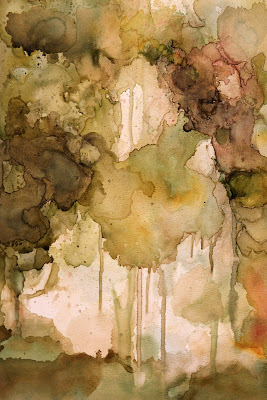 In her work, she needs brushes that hold a lot of water, since her paintings start with puddles of floating pigment. "Having a tight point helps to disperse the paint in swirls into the water drops," she explains. "There is no excuse to use a brush whose hair is not properly secured inside the ferrule, as stray hairs falling into the painting can ruin a work in progress." As well when using oils, it is important to have a brush with the right shape so that brushstrokes either appear or disappear as the work requires. 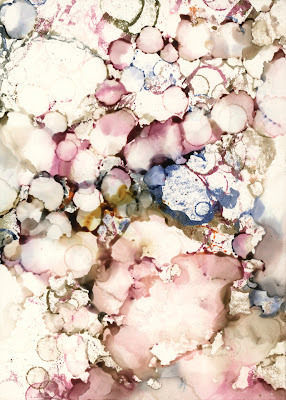 Currently, Andrea is using synthetic watercolor brushes, mostly large rounds. For her oil work, she leans towards natural bristle brushes in flats or extra fine sables for detail work. She says that a mop brush is necessary for a watercolor artist and natural bristles will give an oil painter more control releasing paint. Andrea shares, "Buy quality when it comes to the tools for your art. A properly cared for brush will last a lifetime and easily make you a better painter." I couldn't have said it better myself. To see more of Andrea's work, visit her website, www.andreapramuk.com or her shop on Etsy.